Mexican resort operator failed to disclose business relationship with domain owner. The operators of two Mexican resorts–Golden Parnassus Paradise of the Gods and Great Parnassus Paradise of the Gods–have been found to have engaged in reverse domain name hijacking (RDNH) in a recent cybersquatting complaint. 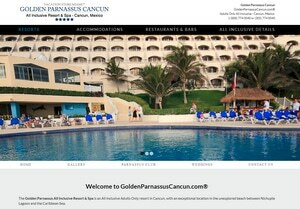 The resorts filed UDRPs against the domains GoldenParnassusCancun.com and GreatParnassusCancun.com. The domains are owned by a company in Florida that wholesales vacation packages to travel agencies. The UDRP filings missed several critical details and failed to disclose a 10+ year relationship between the complainants and the domain owner. It turns out that the Florida company has a long-running business deal to wholesale vacation packages to the resorts. It has even received the resort owner’s approval for changes to websites on the domains at issue. After reviewing all the evidence, the Panel has come to the conclusion that the Complainant has failed to disclose a number of material facts, including the existence of the long standing business relationship between the parties and the specific facts recited in this decision at paragraph 6.B, which were critical to the Panel’s finding that Respondent holds legitimate rights and interests in the disputed domain names, and which were obviously known to the Complainants before they began these proceedings. In these circumstances, the filing of the Complaint represents an abuse of process which the Panel finds entirely unacceptable. Accordingly, the Panel finds that the Complainants have engaged in reverse domain name hijacking.